I'm off in July to visit my son and his partner. Of course I'm taking them a quilt. "My very MODERN PURPLE quilt" that was posted a few weeks ago. Can anyone tell me where I will find the fabric shops? My son will be of no help except maybe with the Swiss German. I'm really curious to see the prices and the fabric lines in Europe to see if they are very different from North America. Oh lucky you! I know nothing about where to find the shops but hope you'll report back to us when you return. Switzerland is one of those places I've always wanted to visit and probably never will. Have a great time; I'm sure your son and his partner will cherish the quilt! I think that it's the biggest shop in Switzerland. The prices are higher here! I don't know a thing about it. But, have fun!!!! 3) Type the location you are interested in, in the appropriate box and then click "search now"
Oh how exciting MaryK!!!!!!!!!! ........... do you need someone to carry your suitcases? You got a great response. All I can say is have a great time. I don't know anything about Switzerland, but google is a dear friend. You can find anything there. Have fun, take lots of picture. Your quilt will be greatly appreciated. Take pictures for us, will you? Enjoy! Since I'm taking over a quilt I'll just have to fill that suitcase with something. I did finish enlarging the OBW, I just haven't photographed it and posted it yet. Thanks again for finding the material. From what I've gleaned from this board, the prices on your side of the pond are higher. I just thought it might be nice to get the feel of a quilt shop in another country and maybe a piece of fabric that would remind me of this trip. I really don't have anything in mnd. We're flying over on the 2nd/3rd and I know we have tickets to see Leonard Cohen the following night. But I intend to drag a few bewildered men to some things I want to see. They can sit on a bench outside. Wonder? whatever will you do with all your time now? Look forward to seeing the debut of the renovated OBW ... whenever!! For now, I suspect you are tad busy, getting ready to fly away!! 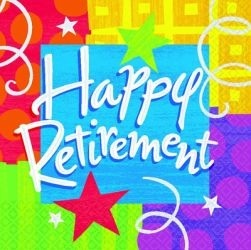 Have a wonderful retirement holiday ...... just Switzerland? or other European destinations? No not a lot. We're visiting Ed's son who is now a citizen of Switzerland. He doesn't come back often as he is so taken with the life in Europe. One trip a year is all we'll be able to afford for a long time. Now that we've got some dry weather I can get a picture of the OBW. I think I bought four yards and used up every inch. Oh but there are so many countries so close at hand ... you can do more than one a day! ENJOY your trip! What quilt is going on the holiday with you? The purple batik one. It was the girlfriend who requested the colours. Thanks. I've found it on line! Such romantics!!!! ............... or was it the wine? That said, you will find fabric and patterns patterns that are designed to appeal to a different, European market as well as, I'm sure, very familiar ones. As you're not planning a shopping spree (thankfully, lol! ), I'm sure there will be something delicious that will just capture the essence of your trip. Chocolate is a food group so Why would I not indulge. My guild in Florida has a few people from Europe...they are always saying how great it is to buy fabric here because the prices there are sooooo high. They usually bring an extra piece of luggage to take fabric home. Absolutely! ... included without saying!